NEW SOUTH WALES – Australian scientists have made a revolutionary breakthrough that comes close to the effects of the mythical fountain of youth. The researchers, from the University of New South Wales, developed a “miracle” drug after discovering a key signalling process in DNA repair and cell ageing. Their experiments in mice suggest that a treatment is possible for DNA damage from both aging and radiation. Although our cells can naturally repair DNA damage to some extent, this ability declines with age. The researchers found that the call signalling molecule NAD+, which is present in every cell in the body, has a key role in protein interactions that control DNA repair. During trials on mice, the team found that treating them with a NAD+ “booster” called NMN dramatically improved their cells’ ability to repair DNA damage caused by radiation exposure or old age. According to lead author Professor David Sinclair: “The cells of the old mice were indistinguishable from the young mice after just one week of treatment. 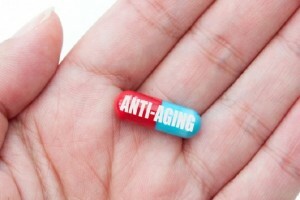 “This is the closest we are to a safe and effective anti-aging drug that’s perhaps only three to five years away from being on the market if the trials go well,” he indicated. The work of Professor Sinclair and his colleague Dr Lindsay Wu has attracted the attention of NASA, which is grappling with the challenge of keeping its astronauts healthy during a four-year mission to Mars. Even on short missions, astronauts experience accelerated aging from cosmic radiation and suffer from muscle weakness, memory loss and other symptoms when they return. A trip to Mars would make the situation far worse: Five percent of the astronauts’ cells would die and their chances of cancer would approach 100 per cent. Cosmic radiation is not only an issue for astronauts. All travellers are exposed to it aboard aircraft, with a London-Singapore-Melbourne flight estimated to be roughly equivalent in radiation to a chest x-ray. In theory, the anti-aging pill could not only mitigate any effects of DNA damage for frequent flyers, but could benefit survivors of childhood cancers. According to Dr Wu, 96 percent of childhood cancer survivors suffer a chronic illness by age 45, including cardiovascular disease, Type 2 diabetes, Alzheimer’s disease, and cancers unrelated to the original cancer. For the past four years, Wu and Sinclair have been working on making NMN into a drug substance with their companies MetroBiotech NSW and MetroBiotech International. Human trials are scheduled to begin within six months at Brigham and Women’s Hospital in Boston, Massachusetts.